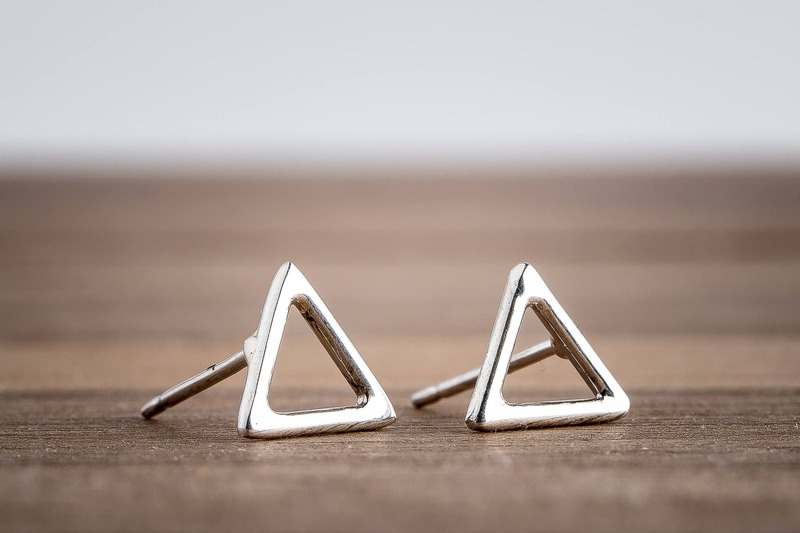 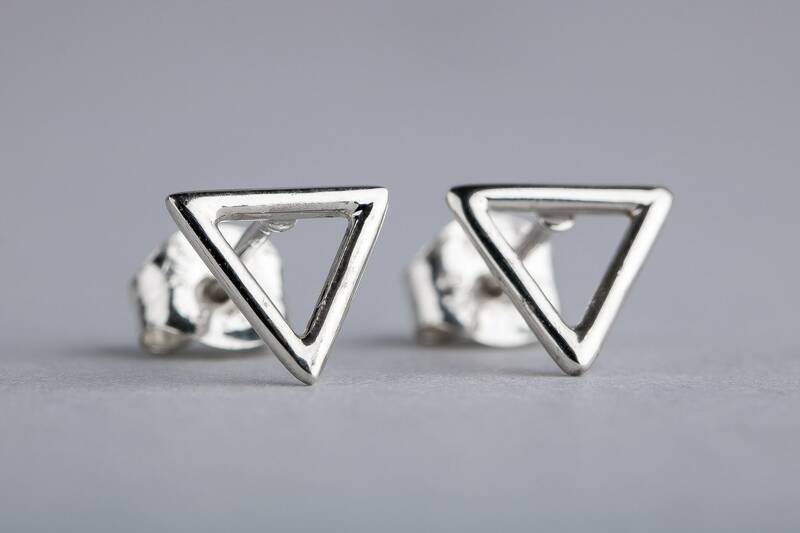 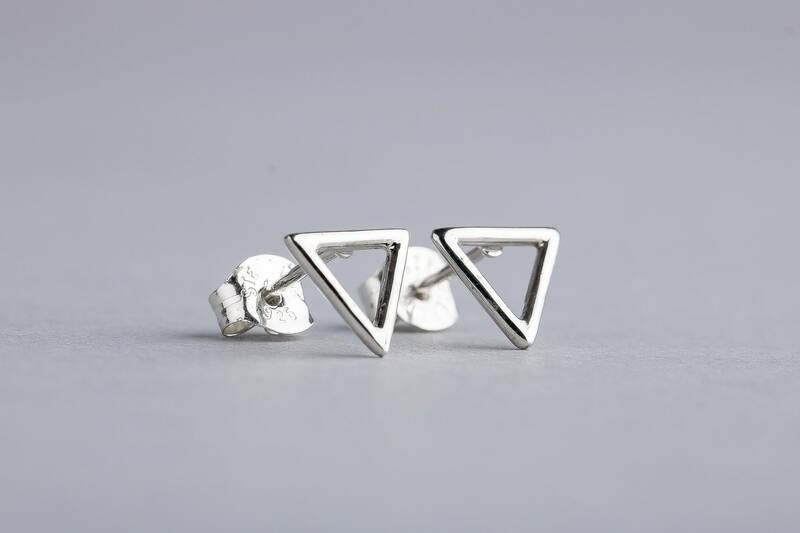 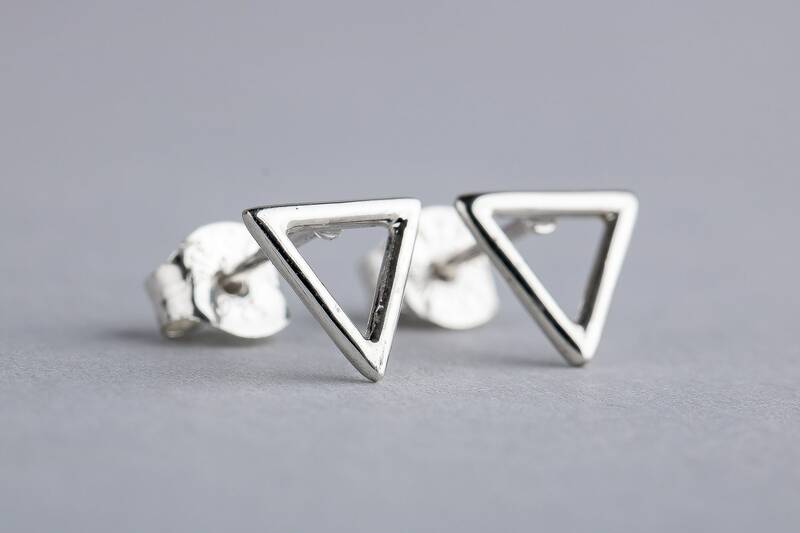 These adorable tiny geometric triangle stud earrings feature an open triangle design. 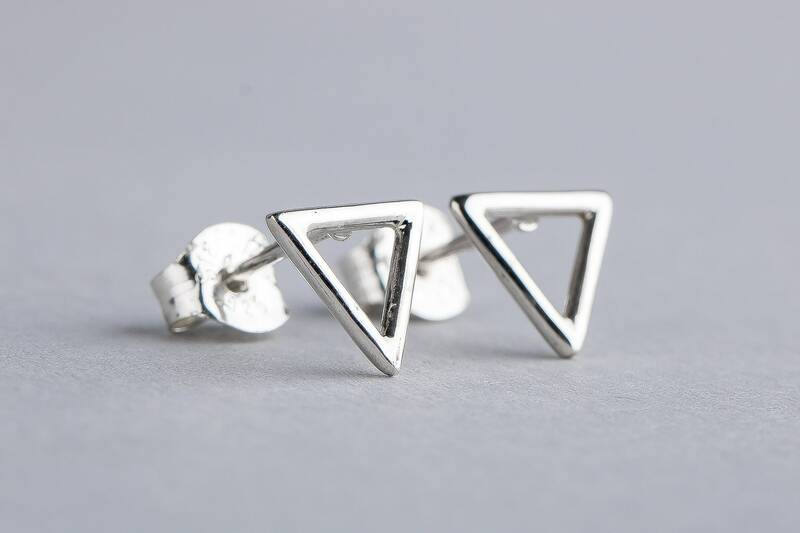 The earrings are made from solid Sterling Silver. 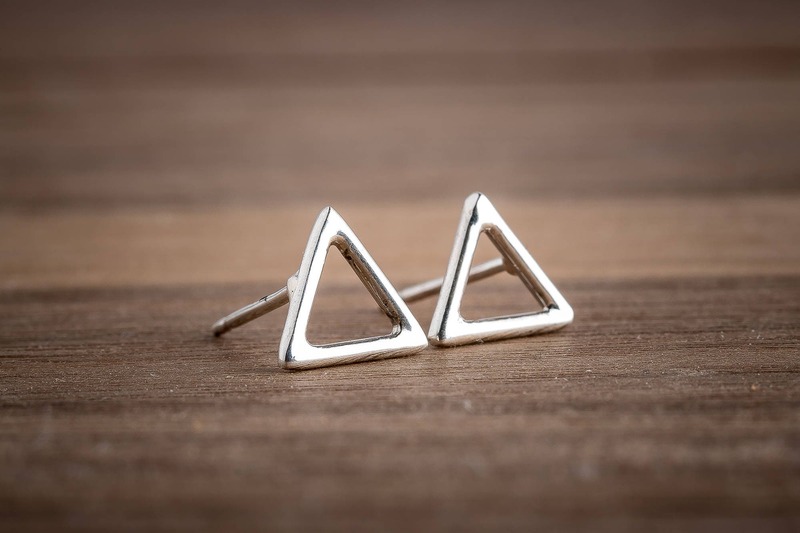 So simple and sweet! 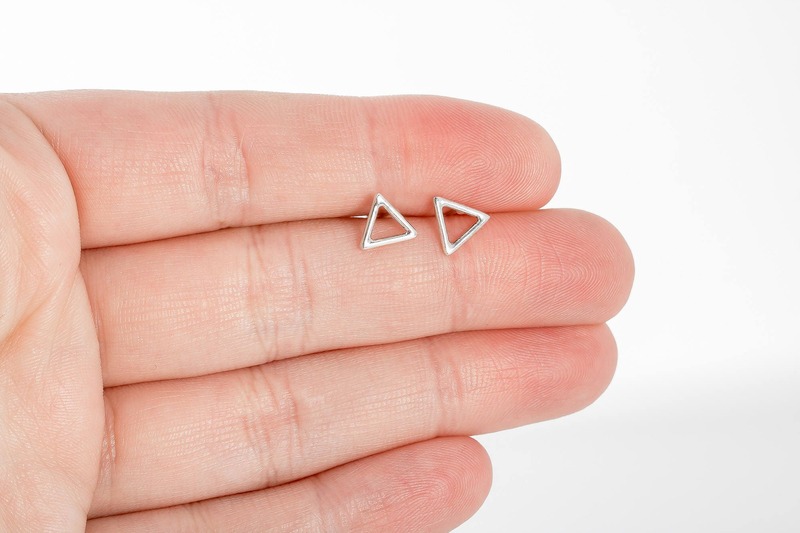 Tiny and minimal for a fresh look. 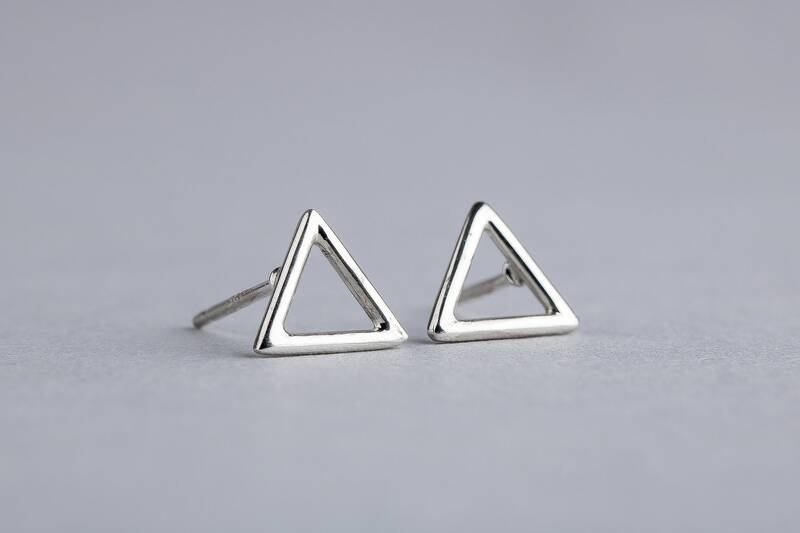 Your jewelry will arrive packaged in a MELANIE GOLDEN JEWELRY monogrammed jewelry box to ensure protection during shipping and ease of gifting. 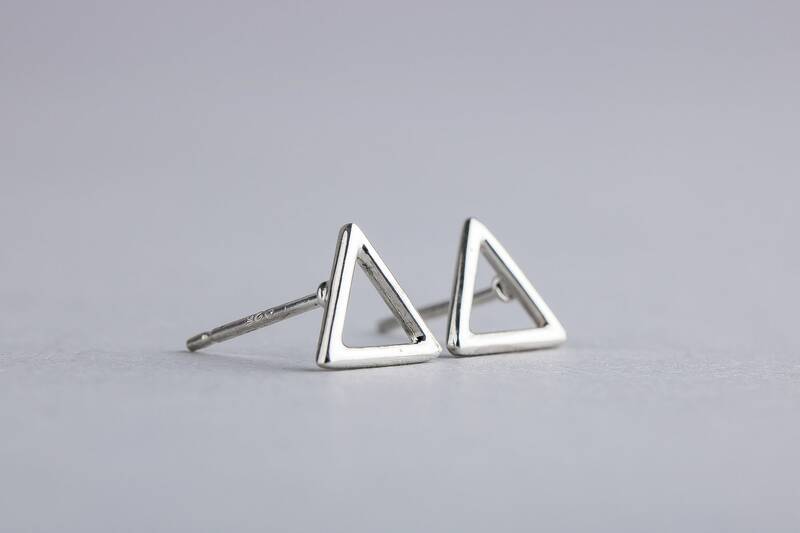 Custom gift wrapping can be added on during checkout from the cart page, or by selecting an option from the "Gift Wrapping" section.